Simmer octopus in the red wine, red wine vinegar, pepper and bay leaves until tender, about 1 hour. When cool enough to handle, cut octopus into small cubes and slice into rounds. 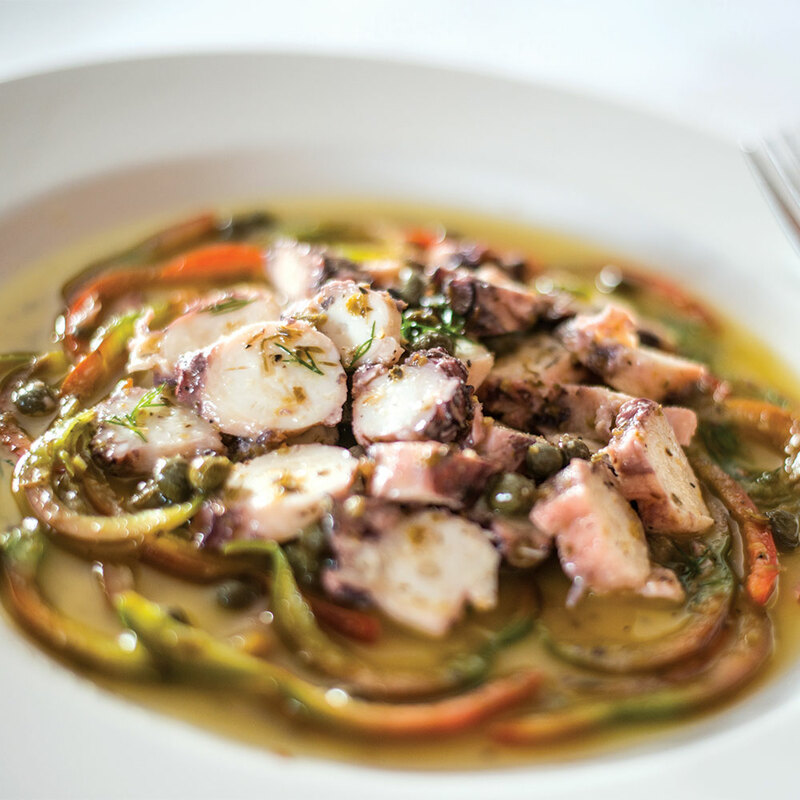 Mix dressing ingredients and toss with octopus, quickly pan sear and divide onto serving plates. Garnish as desired with peppers.